Below you can view all the homes for sale in the Hidden Hills subdivision located in Marietta Georgia. 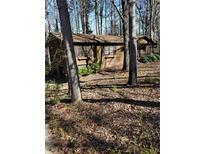 Listings in Hidden Hills are updated daily from data we receive from the Atlanta multiple listing service. To learn more about any of these homes or to receive custom notifications when a new property is listed for sale in Hidden Hills, give us a call at 404-998-4102. Tons Of Storage In Clean Garage. MLS#6537736. Keller Williams Realty Partners. Convenient To Marietta Square, Kennesaw Mountain, Suntrust Park, And Downtown Atlanta. MLS#6531339. Bhgre Metro Brokers. Needs Lots Of Work. Short Sale In Process. 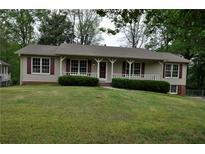 MLS#6524724. Keller Williams Rlty Consultants. New Carpet, Garage Doors. No Hoa MLS#6523375. Phox Realty Group, Llc.. Seller Is Offering A 1 Year Home Warranty With Acceptable Offer. MLS#6522309. Coldwell Banker Kinard Realty.